Meals for meatless Mondays don't have to be bland. 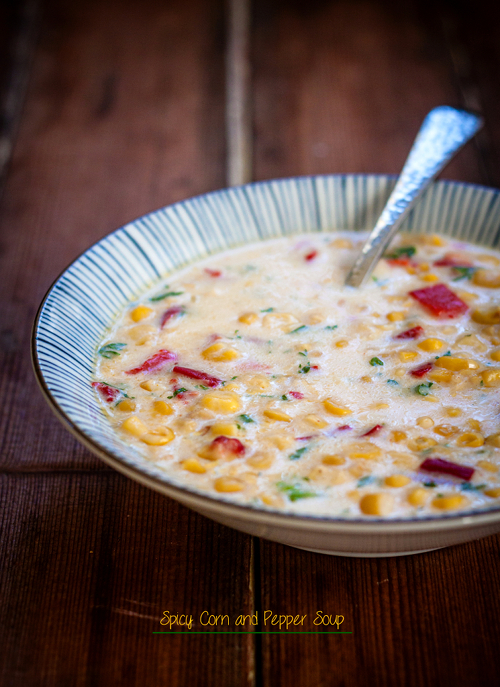 Simple corn soup, for instance, can be taken up a notch by adding some spiciness and smokiness into it. 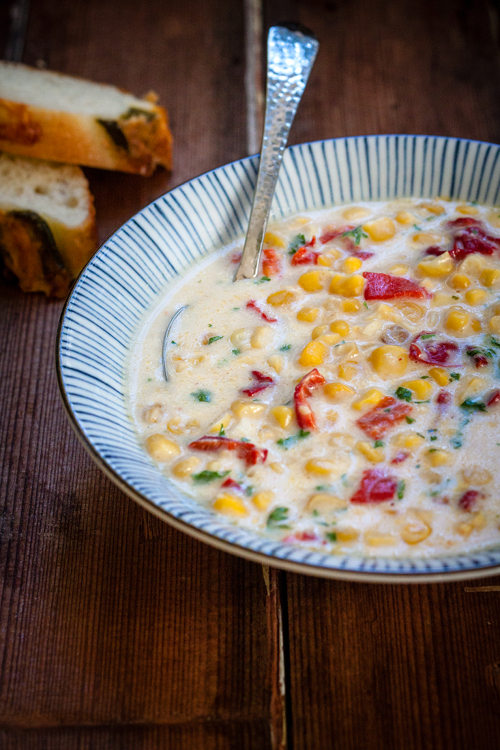 The result is this warming, comforting, and delicious one-of-a-kind soup that will be your family's newest favorite dish. Heat the oven to 450 degrees F. Husk and remove silk. Brush corn and red peppers with some olive oil, and place them on a baking sheet lined with aluminum foil. Roast in the oven for about 15 minutes or until the corn and peppers are tender and slightly charred on top. Remove from the oven and cool down. With a sharp knife, slice the kernels off the cobs, set aside. Cut red peppers into small dices. Melt the butter in a soup pot over medium heat. Add onion and garlic, cook until tender and translucent. Add corn, pepper, and smoked paprika, stir to mix. Gradually add chicken stock into the pot, bring to boil. Reduce the heat and simmer for about 10-15 minutes. Add cream, salt and pepper, and mix well. Turn off the heat. Ladle the soup into bowls, sprinkle chopped cilantro on top. Serve with bread, if desired.